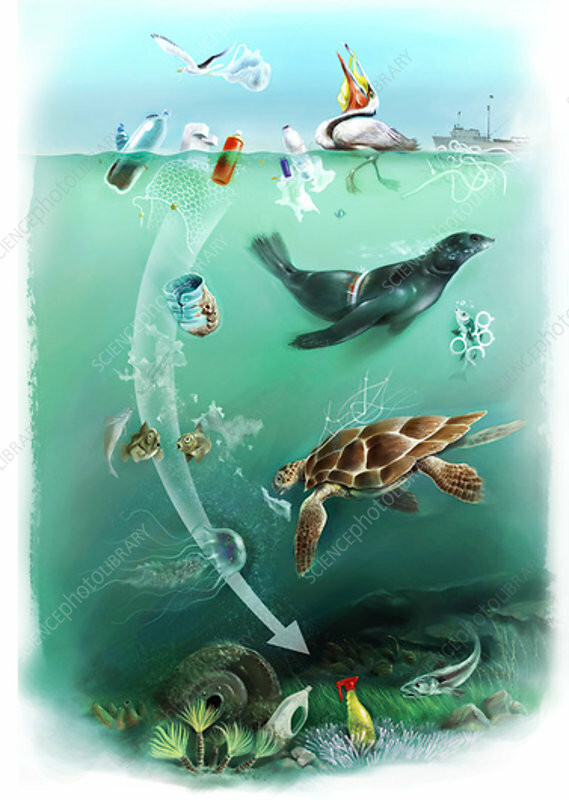 Environmental impact of plastics pollution, illustration. Plastic waste is typically not biodegradable and persists in the environment if not disposed of correctly. Plastic waste can have a severe long-term effect on the marine environment, both as large items that can choke and entangle animals, and as it breaks up into microscopic fragments that can enter the food chain. The marine animals affected here include birds, a seal, a fish and a turtle.